There are two types of dog mange, demodectic and sarcoptic mange, and both are caused by mites. Basically dog mange, scabies or mites is a skin parasite usually seen on stray dogs. This is a highly contagious infection that can spread from animal to animal and cause severe itchiness. 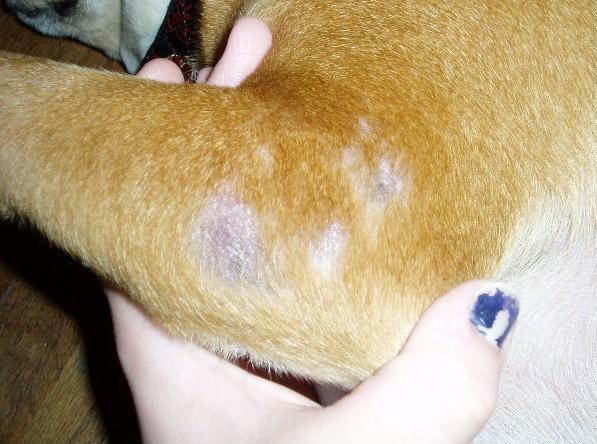 Today we will study some dog mange pictures so you can identify if your pet is suffering from this infection. Additionally, we will also study sarcoptic and demodectic mange treatment at home. Demodectic mange is caused by demodex canis organism that lives inside hair follicles of the canine host. By itself, it does not cause severe itching seen in sarcoptic mange but if the hair follicle becomes infected, it can lead to significant itching and hair loss. This type of mange is actually serious, especially when it affects older dogs because it indicates weakened immune system. Demodectic mange also harms humans and may be present on eyebrows or lashes without the host even being aware of it. Conventional dog mange treatment includes dipping dog in lime sulfur dip solution. This is very strong solution and you might have to get it from your vet. Be careful when you use this treatment as it can stain skin and clothing. Dip your pet in the medicine for at least 20 minutes or as prescribed by your vet. 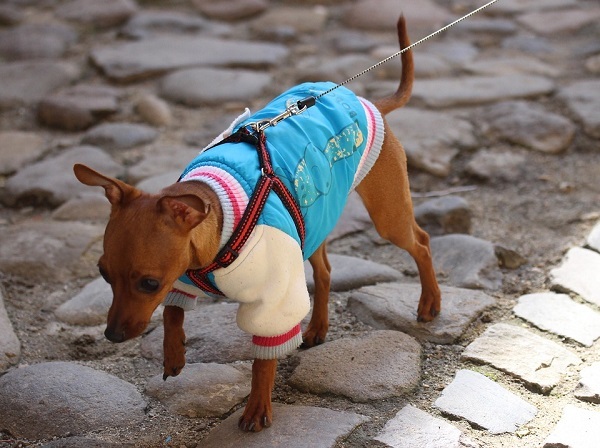 Scabies or mites are highly contagious so it is not enough to only treat the infected dog. 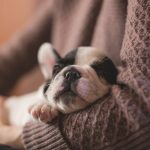 You must treat all of your pets and also disinfect all household surfaces including your pet’s bedding with bleach solution. In case of severe infection in dog’s ears your vet may prescribe Ivermectin. 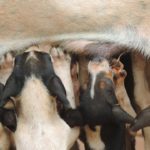 However, some breeds like Collies, Sheepdogs and longhaired whippets are known to be allergic to Ivermectin. A weekly bath with soothing oatmeal shampoo can soothe the skin and prevent itchiness. Continue bathing the pet weekly for 4-6 weeks even if there are no symptoms. Dogs with mange can scratch themselves leading to secondary skin infections. So it is a good idea to cover up your pet with an old but clean T-shirt or baby suit. You must also trim your dog’s nails. This will protect his skin from his claws. 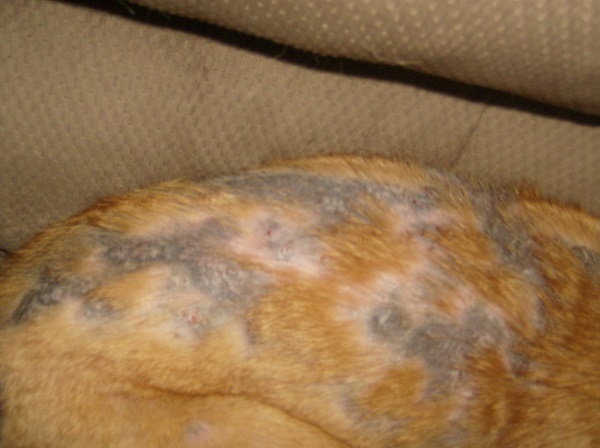 Mange and scabies mites tend to live on household surfaces and can even infect humans. So vacuum the floors every other day. Also clean furniture, counter tops, sofas etc with mild bleach solution. Continue cleaning for at least 2-3 weeks even if you and your pet are asymptomatic. Also treat your yard with borax powder or diatomaceous earth powder to eliminate mange mites. 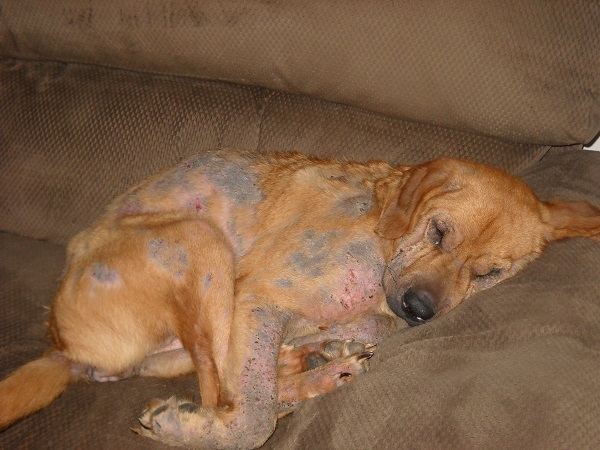 Dogs with demodectic mange are often known to have weak immune systems. So enrich their diet with nourishing foods. Fresh raw meat, fruits and vegetables can enhance their immune system and provide them with the nourishment they need to fight these infections. 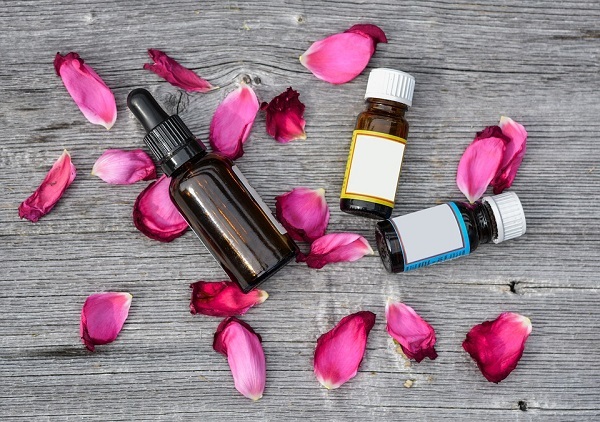 Immunity enhancing herbs include Echinacea, cat’s claw and astragalus. Administer these herbs once or twice a week. Feed a fish oil supplement to your pet to enhance skin and boost immunity. If you are not fond of using chemical dips, you can use herbal tea rinses to treat mange in dogs. Sage tea, yellow dock, Echinacea tea, lavender tea, neem leaves solution and calendula etc are some good herbal rinses. Boil the leaves and steep the tea for a few hours. Use the solution as a final rinse after bathing your pet. Let his coat air dry. Repeat twice a week. Apply raw, organic honey to reddened, itchy areas to soothe the skin. Honey absorbs the moisture and also smothers the mites. A few drops of vegetable or coconut oil applied to pet’s reddened, patchy skin is a great remedy to soften the waxy deposits created by mites and also smother the mites. 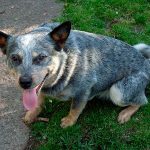 Apple cider vinegar for mange in dogs is a wonderful natural remedy that can save you a lot of money on harsh chemical treatments. Add a cup of apple cider vinegar to final rinsing water and pour the solution on your pet’s infected skin. You can even spray it inside the pet’s ears. Also add organic, ‘mother’ apple cider vinegar to pet’s drinking water to make its system alkaline and unfavorable to mites. To use borax for mange in dogs, mix eight tablespoons of 20 Mule Team Borax, 2 cups of 3% hydrogen peroxide and 4 cups of water. Stir well to dissolve the borax. Pour the solution all over your pet’s infected skin. Repeat every 2-3 days for 1-2 months. Apply diluted Lavender oil (mix the essential oil of lavender with sweet almond oil) and apply it to affected areas once a day. This helps kill sarcoptic mange and kill their eggs. Tea tree oil is another great option. Use it diluted to wipe down infected areas or add it to final rinsing water post bath. You can even wipe the dog’s ears with diluted essential oils to get rid of ear mites. You can also use lemon extract or lemon essential oil as the limonene kills mites. Only your vet can tell the difference between sarcoptic and demodectic mange. If you notice redness, sores and scabs on your pet, take him to the vet immediately.